There are 2 types of pain in this world. Pain that hurts you. Pain that changes you. 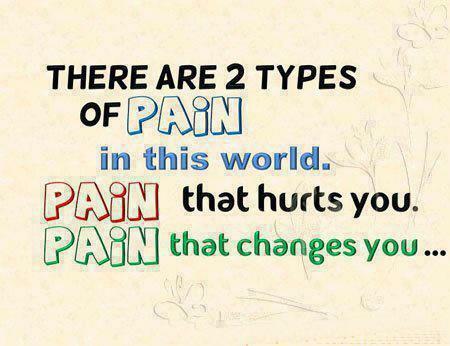 Quote : There are 2 types of pain in this world. Pain that hurts you. Pain that changes you.